1. Moisturizer - If you have nothing else in your routine, at least moisturize. It will keep your skin looking youthful. 2. MAC Fix + Spray - It makes foundation look more like skin. 3. 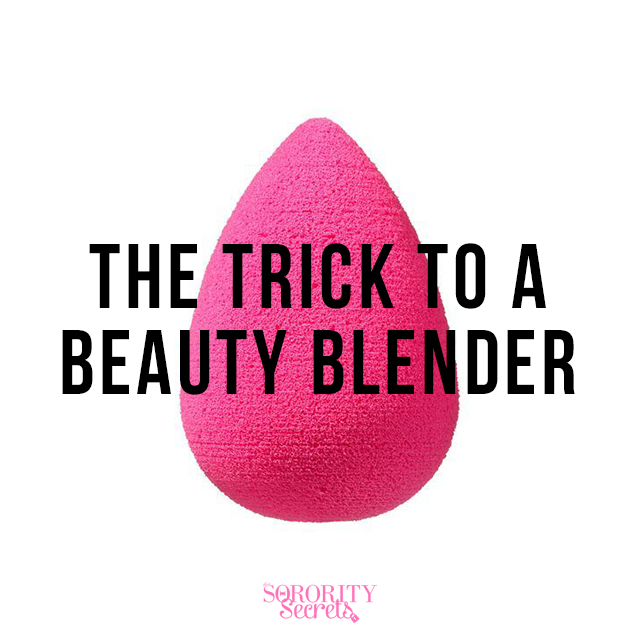 Beauty Blender Sponge - Get it wet with warm water before applying foundation and your skin will look perfect. 4. Urban Decay Primer Potion - A thin layer helps eyeshadow stay for hours. 5. High quality makeup brushes - If you invest, they last forever. 6. OCC Lip Tars - A little bit goes a long way and if you want, you can mix them together to create any color you want. 7. Loreal Voluminous Mascara (SALE!) - The best, hands down. 8. Urban Decay Naked Basics Palette - It's all your neutral blending colors in one. 9. Laura Mercier Tinted Moisturizer - For those days that you want a lightweight coverage. 10. Clarisonic Brush - Exfoliate.. It's worth the investment for radiant skin. 1. What do you love most about doing make up? Meeting famous people and getting to work with them is so much fun and it really inspires me, but the greatest part of my job is that I get to help people feel beautiful. The most rewarding experiences I've had are helping people who have cancer and have lost their hair from chemotherapy. Teaching them how to naturally fill in their eyebrows and apply false lashes seems like such a small thing, but when they look in the mirror and are overjoyed because they feel like themselves again touches my heart in the biggest way. 2. How did you get started? What got you to the next step? I always loved beauty, so I started working for Mac when I was 18 in Reno, Nv. It's where I learned the most about skin and makeup techniques. I dreamed of working with celebrities so I knew I needed to sacrifice being close to the ones I loved and move to a bigger city. A few years later I moved to Vegas and worked in Caesars Palace where I met so many people and was blessed with amazing opportunities. 3. 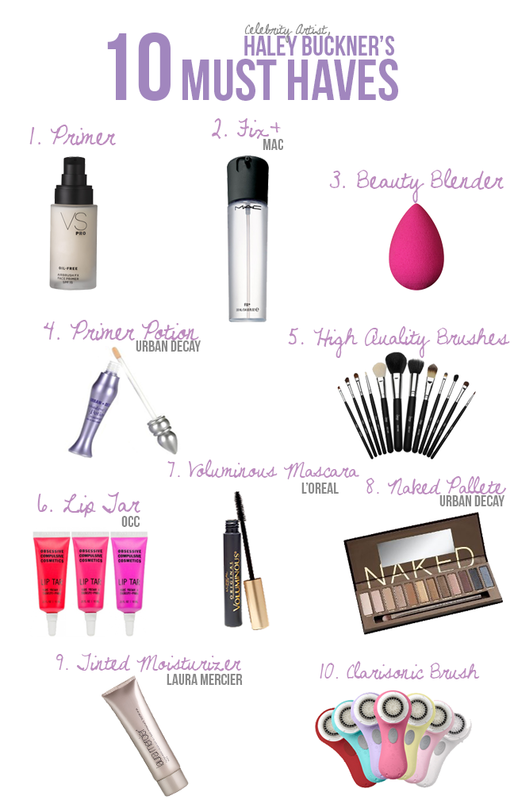 What is one thing (foundation, mascara, eyeliner, lipgloss, etc.) that you feel every girl should always wear? why? Every face is different, so I don't think every girl should always have a specific product. It's important to capitalize on your best feature. 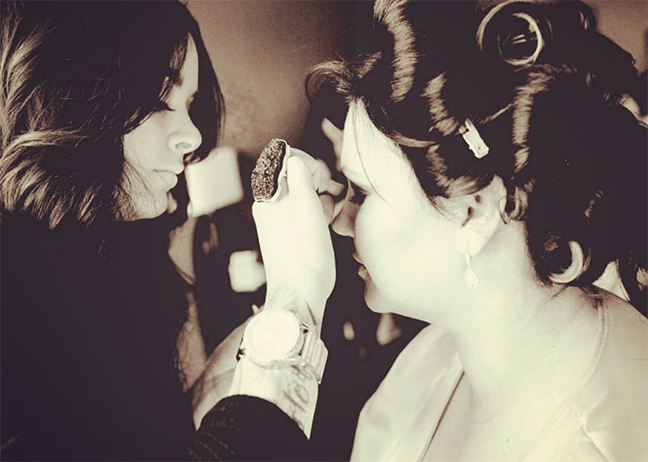 If a client sits in my chair with lips like Angelina Jolie I make them the primary focus of the makeup. If someone has long lashes and beautiful eyes, I think they should accentuate them with a great mascara. 4. What's in, what's out? There are always changing trends in makeup. As artists we are always changing looks on our clients, but in my opinion a classic red lip is never out. Skin is also always important, and for summer a bronzed look is usually desired. 5. Who/Where do you look for inspiration? I'm continually inspired by fellow makeup artists. I've worked with some of the best artists in the industry and when I see them do something mind blowing it makes me want to continue to push myself to be on that level. Since day one my biggest inspiration has been Mac Senior Artist Victor Cembellin. A special thank you to Haley for her time and sharing us her beauty tips & secrets. For more information on Haley, visit her site at www.haleybuckner.com and follow her on Instagram!